Every child deserves a fair chance to learn and thrive. That might seem an obvious statement today, but it took years of legal battles fought by MALDEF to ensure that “every” child did not exclude any child – particularly, immigrant children. After nearly five years of litigation, the U.S. Supreme Court ruled in 1982 that all children, regardless of immigration status, have a constitutional right to a free public education from kindergarten to 12th grade. The landmark case, Plyler v. Doe, grew out of a 1977 attempt by the Tyler Independent School District in Texas to oust the children of undocumented workers – farmhands, for the most part – from the school system by imposing tuition of as much as $1,000 per student to attend what were for everyone else free public schools. Tyler ISD based its move on legislation passed by Texas lawmakers requiring the state to withhold funds to school districts that enrolled undocumented immigrant students. MALDEF sued in September 1977 – and while a federal court quickly granted a motion to block Tyler ISD from denying enrollment based on immigration status, the case underwent numerous appeals and took four more years to reach the Supreme Court. The Supreme Court recognized that tuition would prevent most undocumented children from ever attending school. Plyler outlaws not only policies that directly bar immigrant students from enrolling in school, but also indirect attempts that discourage enrollment, such as collecting or sharing data on students’ or parents’ status, or immigration enforcement activity on or near public schools. Plyler was grounded in two critical American values – that individuals should be judged based on their own actions, not those of their parents, and that our nation welcomes and depends upon immigrants. These lessons have clearly been lost on the current White House. Education Secretary Betsy DeVos demonstrated, as Saenz told The Washington Post, “astounding ignorance of the law” when she testified before Congress that local school districts could decide whether to report students to immigration authorities. Her testimony was not just a misinterpretation of Plyler. It was flat-out wrong. Of all people, the Education Secretary must be fully cognizant that Plyler did much more than just grant entry to public schools for all children. Plyler mandates that no government entity – be it a local school district or a state legislature or the U.S. Department of Education – institute policies that would in any way discourage a child from enrolling in school. If parents keep their kids at home because immigration authorities are allowed to patrol campuses or transit systems that take children to schools, that’s a Plyler violation. If students are afraid to go to school because of anti-immigrant bullying or anything else that creates a fearful environment, that’s a Plyler violation. Nevertheless, the Plyler ruling has not discouraged challenges over the years. California tried it in 1994 under Proposition 187, the referendum that sought to cut off critical access to public schools for undocumented immigrants. A federal court ruled most of the law was unconstitutional, but not until after several tense years of litigation. Alabama also tried it in 2011, when the state passed a measure requiring school districts to ask students about their immigration status. The measure was struck down after the Obama administration sued on the grounds that it violated Plyler. We cannot expect any such pushback by the federal government today. 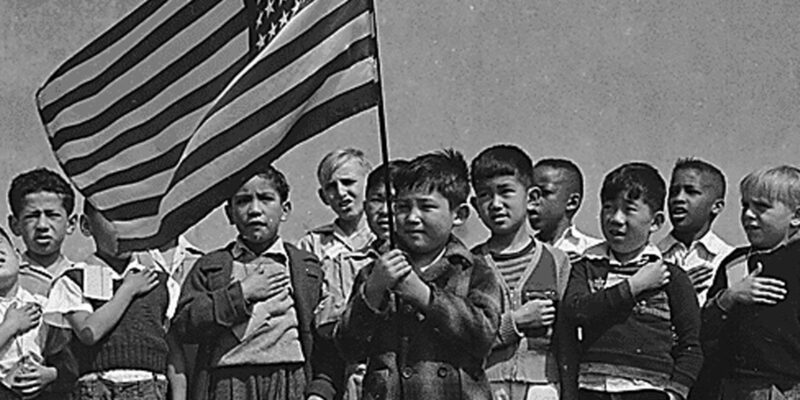 With the willingness of the current White House to use children as pawns in its war on immigrants and an increasingly conservative Supreme Court, it’s important to revisit Plyler and explore why we must remain vigilant to attacks against it. Texas amends the state education code to withhold from local school districts any state funds for the education of children who were not “legally admitted” into the United States. Tyler Independent School District (ISD) imposes annual tuition of $1,000 per student on undocumented immigrant children to attend “free” public schools. MALDEF attorneys file a federal lawsuit, Plyler v. Doe, on behalf of four families whose children are kept from attending Tyler ISD because of their immigration status. The suit argues that the state education code denies undocumented children “their right to equal protection of the laws, as guaranteed by the Fourteenth Amendment” to the U.S. Constitution. MALDEF attorneys also ask the court to block the law pending a trial. U.S. District Court Judge William Wayne Justice grants MALDEF’s request for a preliminary injunction, allowing children to enroll in Tyler schools. Judge Justice issues final judgment that the Texas law is unconstitutional because it violates the Constitution’s Equal Protection Clause. Tyler ISD files notice to appeal Judge Justice’s ruling to the U.S. Court of Appeals for the Fifth Circuit. Texas files its notice of appeal a week later. Texas and Tyler ISD file petition seeking review by the U.S. Supreme Court. U.S. Supreme Court agrees to hear appeal in Plyler v. Doe. The U.S. Supreme Court hears oral argument in Plyler v. Doe. The court considers whether the 1975 Texas legislation violates the Equal Protection Clause of the Fourteenth Amendment. MALDEF attorney Peter D. Roos argues on behalf of the Tyler families. In a 5-4 decision, the U.S. Supreme Court strikes down the Texas law, holding that undocumented immigrants and their children are “in any ordinary sense of the term” people and are therefore afforded Fourteenth Amendment protections.